Ingolstadt - Two of this season’s surprise packages, FC Ingolstadt 04 and Hertha Berlin, will be looking to return to winning ways when they meet on Saturday evening (kick-off 18:30 CEST/16:30 GMT) following defeats on Matchday 9. 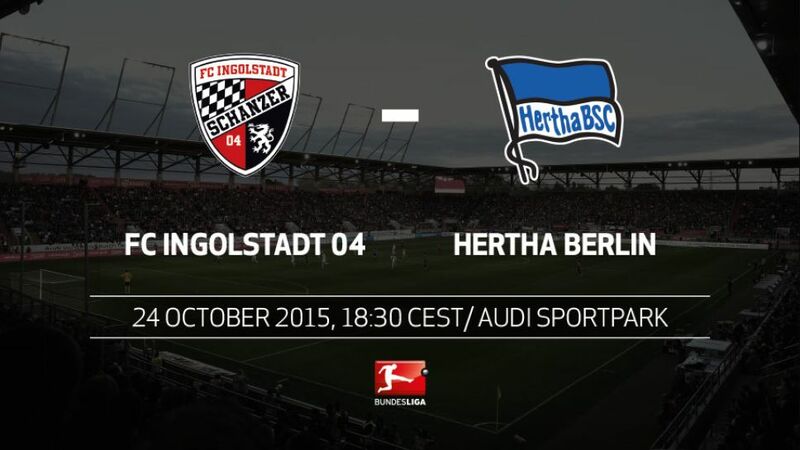 This is the first time that Ingolstadt and Hertha play each other in the Bundesliga. Hertha, currently fifth in the standings, have lost three times so far this season and each defeat has come away from home.Ingolstadt are three rungs below their guests in the table, but have the same number of points (14).Only 13 goals have been scored in games involving Ingolstadt this season - the lowest tally in the league.The hosts have the least-potent frontline in the division, having scored just six times thus far. However, they have the second-best defence (after FC Bayern München), with just seven conceded.This is the 878th match in Bundesliga history.Whenever Hertha have played in the same division as Ingolstadt they have gone on to win the championship - albeit in Bundesliga 2 (2010/11 and 2012/13).